Pumpkins are popular during the autumn season. With today being National Pumpkin Day, Halloween only a few days away and Thanksgiving in just another month, there are plenty of opportunities to put pumpkin in a recipe! 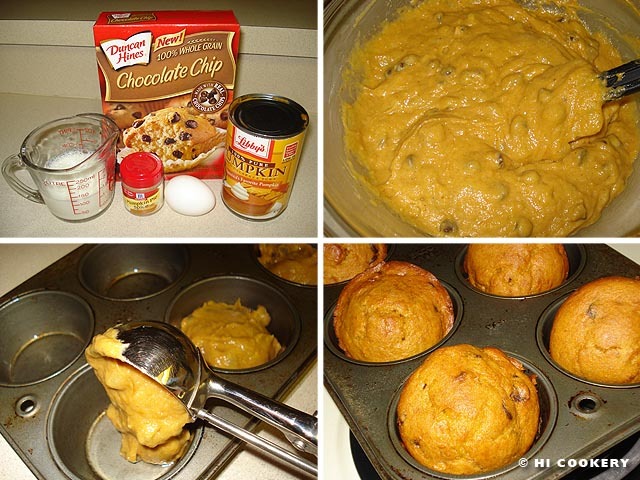 For this particular post about pumpkins, we chose chocolate chips and pureed pumpkin to make muffins. But we also use the batter to bake it in a pumpkin-shaped pan for parties and potlucks. 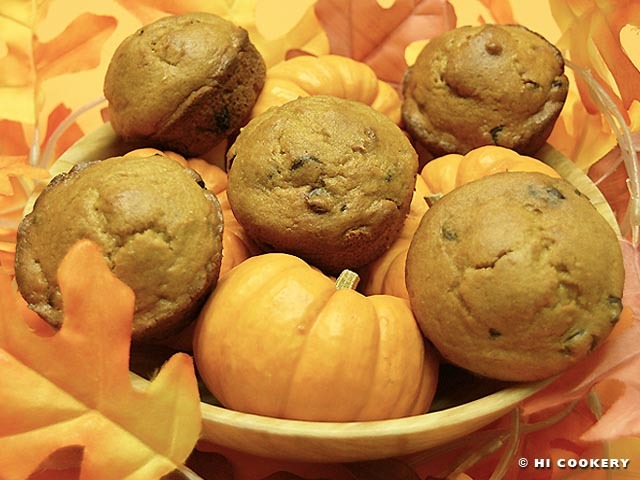 Prepare pumpkin-chocolate chip muffins as festive fare for the fall holidays. In a large mixing bowl, place the muffin mix and pumpkin pie spice. 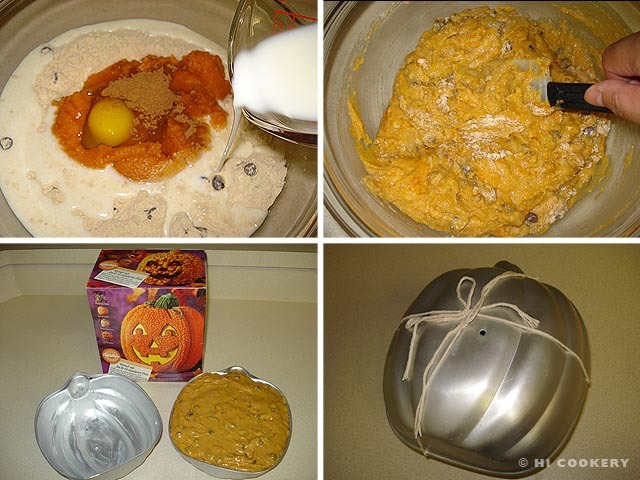 Make a well in the middle and add the canned pumpkin, milk and egg. With a large spoon or spatula, blend well. Scoop into a greased muffin tin. Bake in a preheated oven at 375 degrees F for 20 minutes or until done. Remove from the oven and let cool for about five minutes in the muffin tin. Transfer muffins to a wire rack. Serve warm with a dusting of powdered sugar (optional). Yield: A dozen muffins. Mix the muffin ingredients listed above except for the powdered sugar. 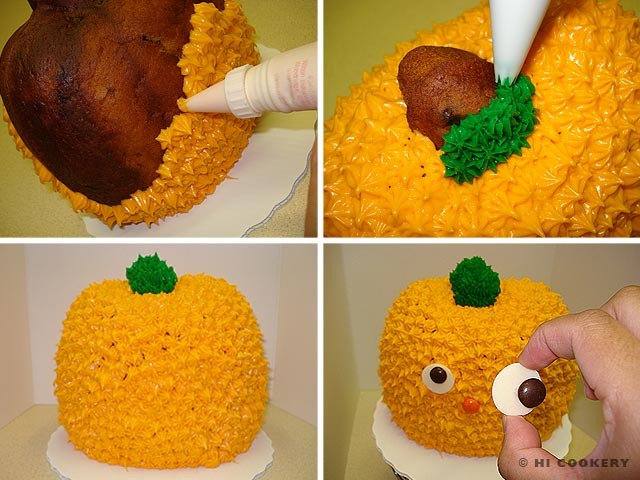 Pour into a greased standup pumpkin-shaped cake pan to the rim of the bottom half. Cover with the top half of the pan, tying with kitchen twine to secure the cake in place as it bakes in the oven. Place foil or another pan on the bottom rack of the oven to catch any leaking grease or cake batter. Place the pumpkin pan on the top rack. Bake in a preheated oven at 375 degrees F for one hour. Remove from the oven. Cut the twine off and remove the top half of the pan carefully. Return to the oven and bake for another 10 minutes. Remove from the oven and let the cake sit in the bottom half of the pan on a wire rack to cool for five minutes. Invert the cake onto the top half of the pan and leave it on the wire rack to cool completely (approximately six-to-eight hours). Remove from the pan. Stand up the pumpkin on a platter or a sturdy cake board. Make the frosting. 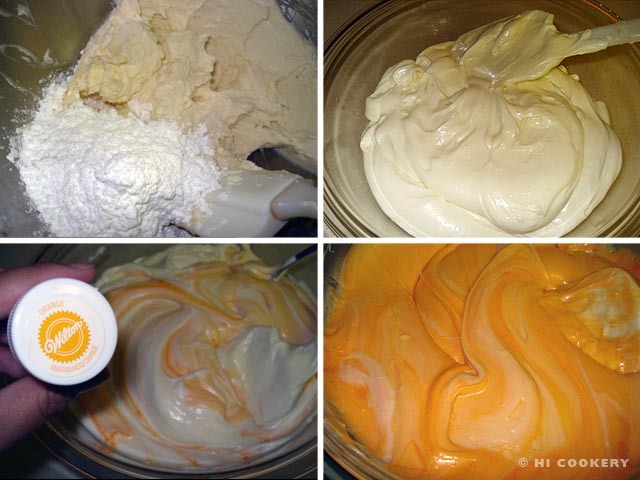 In a mixer or mixing bowl, cream the cheese until light and fluffy. Gradually add the sugar and beat until smooth. Add the salt and vanilla. Mix well until the desired frosting consistency is reached, thinning with water as necessary. Tint the frosting with orange food coloring, mixing thoroughly until evenly colored. Refrigerate the frosting to thicken slightly. We used a star tip to pipe the entire surface of the pumpkin cake with orange and green frosting. We decorated the face with various candies. 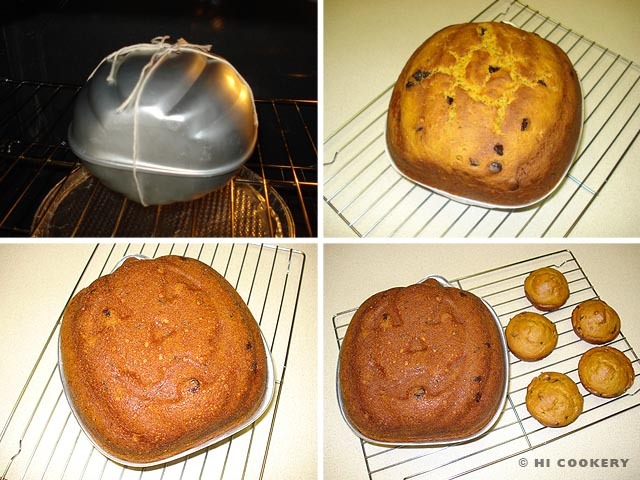 We doubled the recipe of the pumpkin-chocolate chip muffins to fill a pumpkin-shaped cake pan. Leftover batter was used to bake the muffins. Thanks to a community of Marianist brothers for the gift of the retired Wilton standup pumpkin pan, which is now considered an antique collectible. 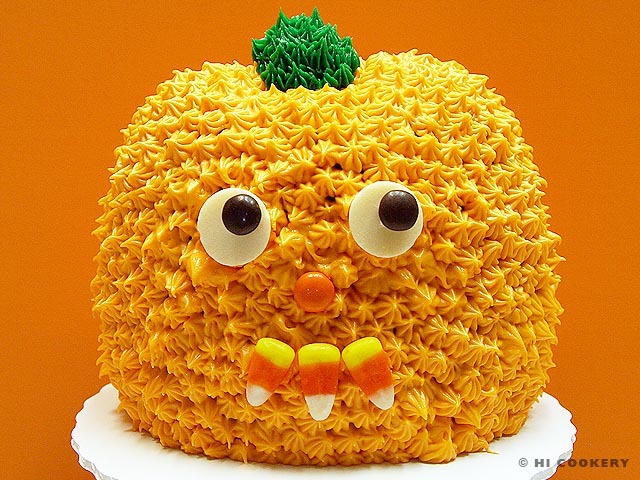 Search our blog for other posts about pumpkin recipes.